Newly furnished music building at Northwestern, overlooking Lake Michigan. 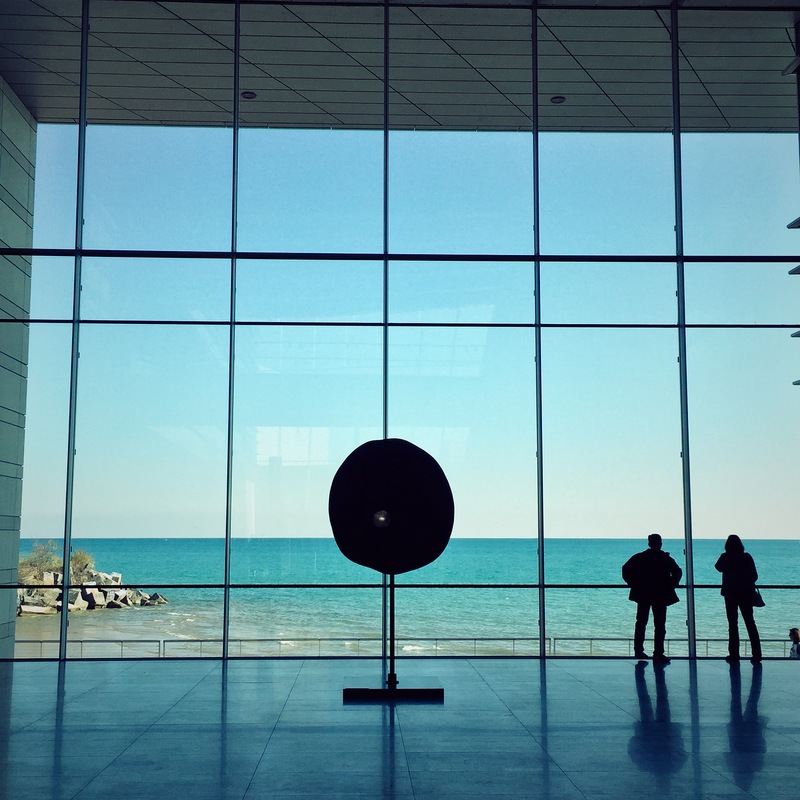 This weekend marked the 2nd installment of a burgeoning new festival for contemporary music in Chicago — the Northwestern University New Music Conference (NUNC!). I’ve just returned, euphorically, from a tremendous performance of my piece The Fiction of Time Destroyed (‘Desbaratada la Ficción del Tiempo’) by the indispensable Ensemble Dal Niente, and I just can’t wait any longer to write about how successful this conference was. The organizers of NUNC did quite a job of ensuring musical variety at this event, which was evident in the opening concert. This included performances of Saariaho’s Oltra Mar and Adams’ On The Transmigration of Souls — both lush pieces from very different musical milieux. Where else would we get a chance to hear them on the same program?! After speaking with some members of the NU Symphony Orchestra, it seems fair to say that they enjoyed the chance to play both. Concerts offering this kind of variety persisted through the weekend! Despite the intensity of so much packed into a mere three days, we were also privy to the current work of composers, performers, and musicologists who participated in NUNC’s Calls for Scores, Presentations, and Performances, in addition to the remarks of five invited guest composers. Third Coast Percussion was in residence as well as Dal Niente. I can’t thank Ensemble Dal Niente and their conductor Michael Lewanski enough for their relentless commitment to the music, for their terrific and enthused performances and for their undying support. Lots of inspiring conversation was had! It was also an amazing time to catch up with friends who flew in from all over to attend — so great to see you all! Great hearing everyone’s music, and hoping it won’t be long before we can do this again!